Mt. Irvine Golf Club, Tobago, August 21, 2014: Sharing a passionate story about determination, persistence and success, Secretary of Education Youth Affairs and Sports of the Tobago House of Assembly, Assemblyman Huey Cadette, encouraged the young golfers of the 10th annual Republic Bank Jane Young Tobago Junior Golf Programme, to be the best that they can be and use this opportunity to excel in the sport of golf in their later years. Cadette was speaking at prize-giving ceremony of the programme, held on Monday 18 August, at the Mt. Irvine Bay Hotel and Conference Centre. Twenty five young golfers graduated from 8 day programme, which ran from August 11 to 18, 2014. Cadette also congratulated Republic Bank Limited for giving back to the nation’s youth through various initiatives, including sport. "All will be lost if you don’t take what you have learnt and apply it to your everyday lives,” he told the golfers. The programme consisted of eight 2-hour advanced sessions, where the golfers were exposed to classroom, driving range, putting, short game and golf course training. The Clinic culminated in a friendly game over the weekend. All the participants received certificates of participation and medals, while 12 young golfers copped special prizes for winning in their respective age groups. The youngest being Kahlid Porter and Omari Wilson who won first place for Best Chip and Best Put respectively. Delivering remarks on behalf of the Bank, Vijai Ragoonanan, General Manager, Risk Management, said the Bank continues to support the game of golf not because it is a fun sport, but because it is also used as a tool to help develop social skills. “Today, we are indeed proud to be part of this programme, one that shows that the futures of both our youth and the sport of golf are on a promising path. This game assists with the management of success and failure and teaches players how to keep a cool head under pressure. Golf also helps the player develop discipline, respect and tolerance,” he said. The Bank’s sponsorship of the Clinic is part of its Power to Make a Difference commitment to youth empowerment through sport. 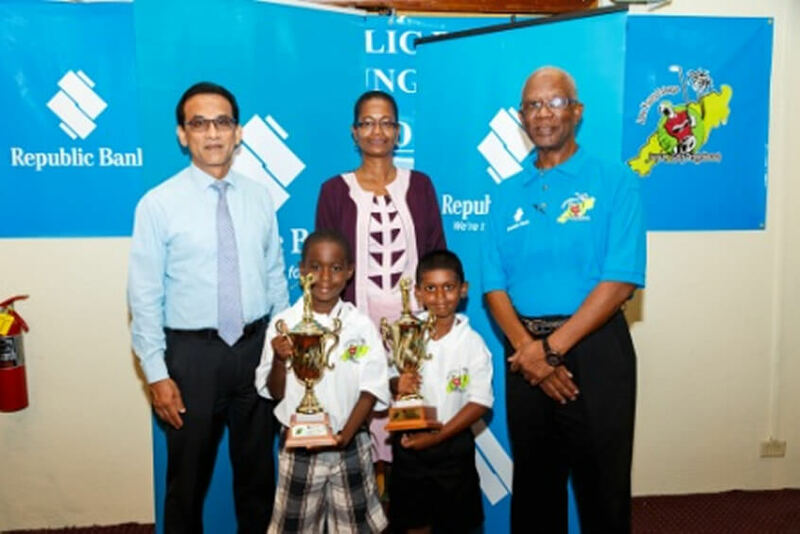 Republic Bank understands the importance of affording our youth the opportunities to practice a disciplined sport that promotes integrity, tenacity and determination. The Bank involvement with golf in Tobago has existed for over 10 years- initially taking the form of Leeward Golf Clinics. 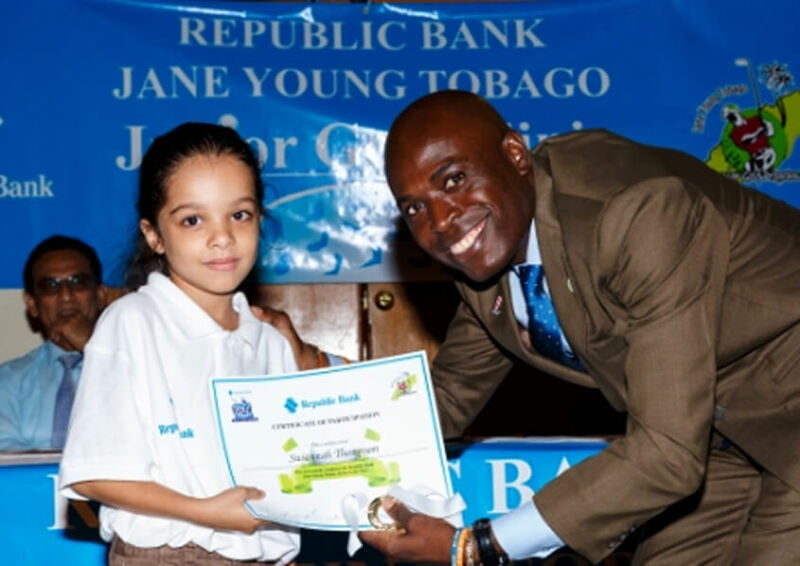 These concluded in 2008 and in 2010, the Bank began its sponsorship of the Jane Young Tobago Junior Golf Clinics. Republic Bank takes this opportunity to thank the golfers who took part in the clinic and wish them all the best in their future sporting endeavours.